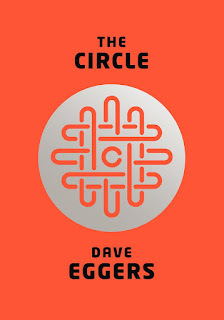 A few of us on Twitter have been reading The Circle, so I’d thought I’d write my own, spoiler free review, perhaps encouraging other folk to discuss it. Social media is everywhere. It’s ubiquitous. Everything we do, we record on Twitter or Facebook or Foursquare or Google+ or any one of a number of myriad applications. Ok, perhaps not Google+, not yet anyway, but we do share our lives online (*pauses while I tweet that I’m writing this*). 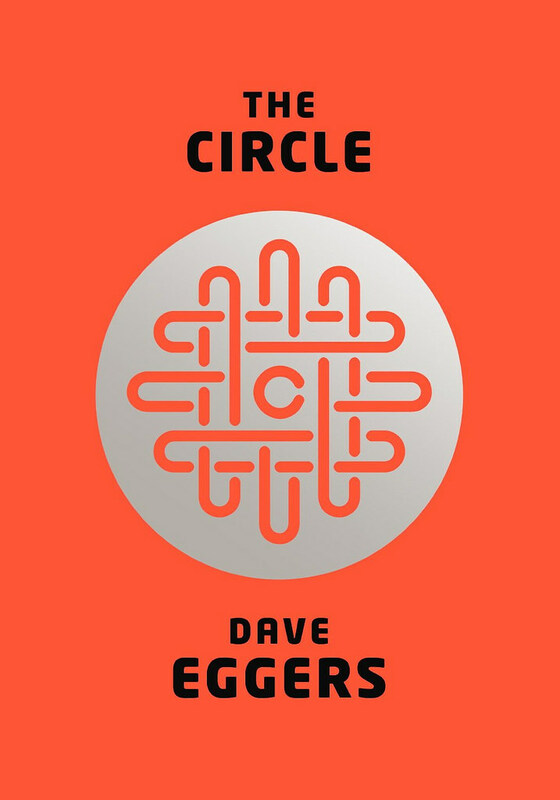 Novelist Dave Eggers probably doesn’t share much on social media. How do I know this? By reading The Circle, that’s how. Eggers has a lot to say here, so this is no sleek speedy Maserati cruising through a pleasant landscape of fine writing. The Circle is more of an 18 wheeler truck rumbling through grotty neighbourhoods of poor character development, leaden dialogue, trite symbolism and clumsy metaphors (the aquarium, oh God the aquarium! ); it’s all about the ideas, and in that regard, the 18 wheeler reaches its destination and unloads its cargo effectively. You may think that The Circle is unrealistic but it’s merely a radical (or perhaps logical) extrapolation of technology trends. I saw recently that Google filed a patent to run elections through its search results (so perhaps we will be forced to create Google+ accounts after all). A little before the book’s publication, Google’s “chief Internet evangelist” posited that "privacy may actually be an anomaly"; a recent invention, facilitated (and soon to be taken away) by technology. The use of “anomaly” is quite interesting, an anomaly being “a deviation from the common rule, type arrangement or form”. So, says a Circle er I mean Google employee, privacy is deviancy. That’s certainly an interesting way of framing the privacy debate. I suppose the main thrust of the book concerns privacy. However, the revelations of Edward Snowden have somewhat blunted the force of Eggars’ message there. The lack of privacy in the book comes from total transparency; total “onlineity” to coin a neologism (is there an adjective to describe being online?). One of the first volunteers to go transparent is a politician, which eventually lead to a political paradigm shift. To me, the consequences of The Circle’s technological advances are more interesting in a political setting and that’s what I’ll focus on. Something else to note is the character of Mae, the protagonist of the novel. It’s easy to think of her as a victim or a brainwashed cultist (there’s more than a little religious symbolism going on in the novel; the first line of the book is “ ‘My God,’ Mae thought. ‘It’s heaven.’ ”). However, there’s no spoiling the book by revealing that Mae is actually a villain, albeit one whose motives are fairly trivial – popularity within The Circle and the approval of its founders. Talk about the banality of evil! The Circle could never be confused with great literature, and I don’t think it’ll ever be confused with great satire either. But it’s an entertaining and scary read that really should get you thinking about technology, democracy and your privacy. Hi David. Excellent piece on a most terrifying book. I read the book two summers ago, read it in three days. As you say, not a subtle book and not great literature but like all dystopian / speculative fiction it is a great novel of great ideas. It is the ideas that keep you reading. The more I read up on digital privacy the more I think that this book should be given out to people as they sign up for any of the accounts of the big tech companies. Because you can see us moving towards a situation where our real lives will mirror the book. And what is worse - do people actually care? Are there more Mae's in the world than Mercers? [he who doesn't buy into world of the Circle?] I think there probably are. And what are the consequences of this to us as people? Thanks for the piece David - as Shona said on Twitter, it was nice to revisit the book through this piece.